Two charts paint a succinct and elegant picture of the gold/USD trade at the moment. 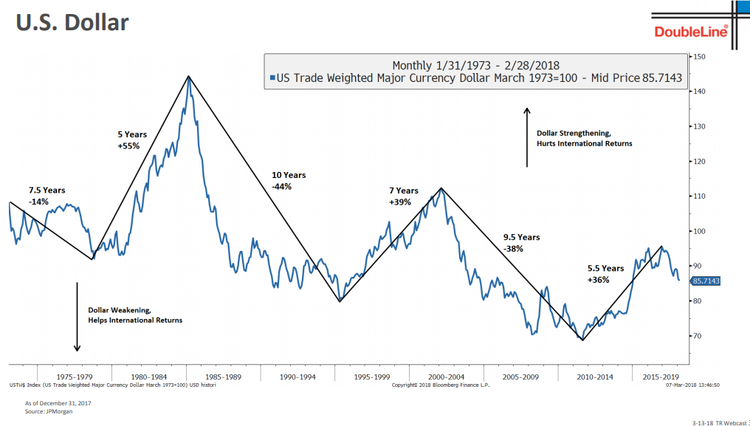 The USD has just begun its third successive fall after another lower recovery high in a hugely strong multi-decade chart pattern, fueled by international economic feuds and an administration who favors weak-dollar policy to begin with. 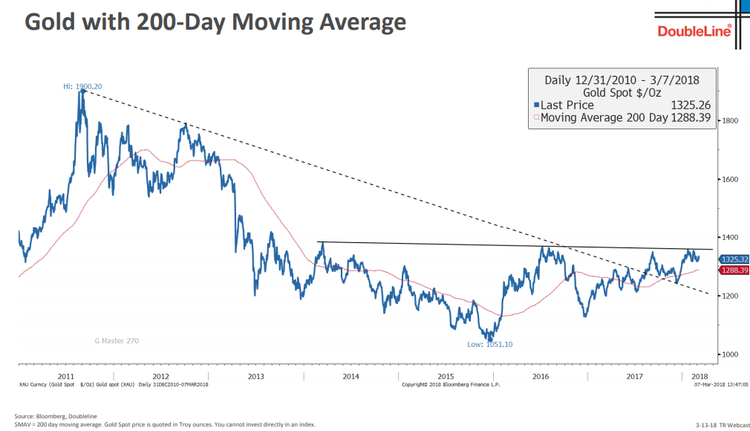 Jeff Gundlach, who currently manages over $100B at DoubleLine Capital, said “Gold is negatively correlated with the dollar. We see that gold broke above its downtrend line. But now we see a massive base building in gold. Massive. It’s a four-year, five-year base in gold. If we break above this resistance line one can expect gold to go up by, like, a thousand dollars.